The White Mountains of New Hampshire are filled with gushing, cascading waterfalls ready to awe local and out- of- town hikers alike. 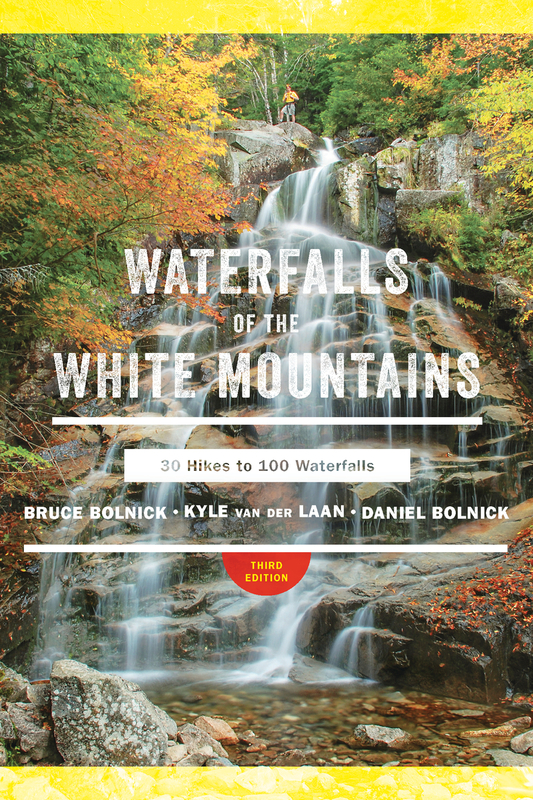 This completely revised and updated edition of Waterfalls of the White Mountains outlines hiking trails ideal for observing the more than 100 waterfalls in the region, no matter experience level or ability. Each hike opens with the trail at a glance overview—including the distance, difficulty, altitude gain, and directions to the starting point. Tips and suggestions are expanded on throughout, like the best times of year for each hike, vantage points and the perfect spots to view them from, swimming holes great for cooling down, and the least crowded picnic stops perfect for a rest. Also featuring labeled maps and essays on local history and lore, Waterfalls of the White Mountains guides readers through their next excursion to the White Mountains of New Hampshire. Daniel Bolnick has been hiking the White Mountains for decades. Kyle van der Laan is an avid hiker and an adjunct professor of creative writing at Lyndon State College.